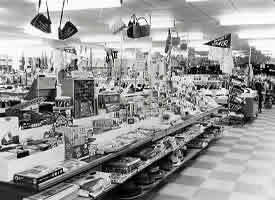 Visit the Lathams store as it was in days gone by with more fascinating pictures of Lathams from the past. 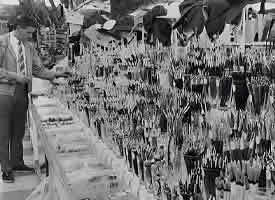 If you have any interesting pictures of Lathams from the past we are always delighted to display them on our web site for our visitor's interest. If you think you have anything suitable please email the details to us by clicking here. 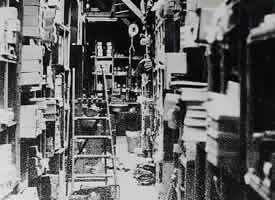 The store room at Lathams circa 1965 - no bar coding in those days! 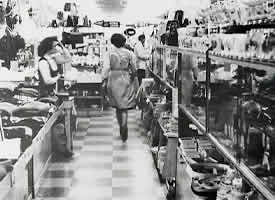 Pictures from the shop floor with a very 1960's feel. 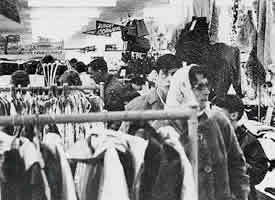 Some things never change - visitors to Lathams from the 1960's to the present day come for the bargains. A well stocked 1960's Lathams ready to receive thousands of visitors to the Broads during the main summer season. 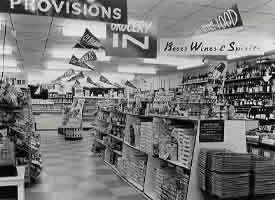 Lathams was always extremely popular with holiday makers taking cruising holidays who would stock up on provisions as they passed through Potter Heigham. 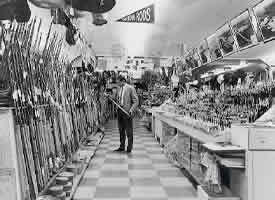 From day one, Lathams was recognized as the premier Fishing Tackle Centre in the region and has continued to this day as such. Extensive choice and value in all departments ensured Lathams would go from strength to strength across three decades. 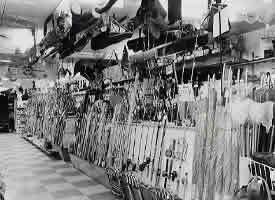 The majority of the floats and lures Lathams sold were actually made at Lathams during the winter months in the off peak season - Lathams being one of the few employers on the Broads who were able to offer their staff work all year round rather than seasonally.